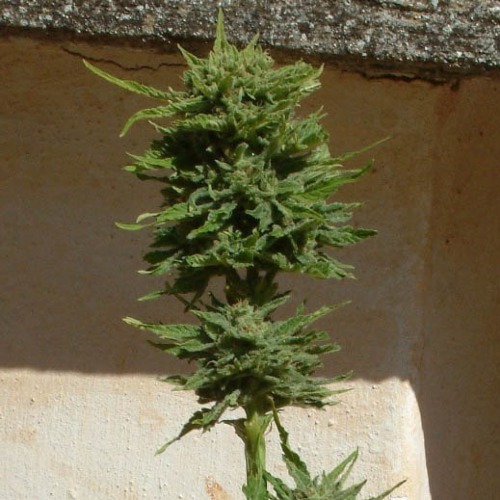 Syrup autoflower from Buddha Seeds are feminised cannabis seeds from high quality. These autoflowering seeds are originated by crossing the Ruderalis x a very sweet Indica strain. Buddha Syrup auto are weed plants that are easy to grow, which make them suitable for growers with less experience. These weed plants are appropriate for an indoor grow and outdoor grow. Because this plant stays small, you can grow her on places with little space, like a balcony or in the garden. Smoking this weed gives you a powerful fruity taste in which you recognize the power of the crossing with the sweet Indica strain. The effect of smoking this weed is heavy, you can also call it narcotic. This strain is frequently used as medical cannabis seeds. Growing cannabis from these feminised autoflowering seeds is easy and provide you a delicious and tasteful weed! Tell us and our customers what you think of the Syrup from Buddha Seeds.